Stunning speciality doors – bespoke doors made to your exact specifications. 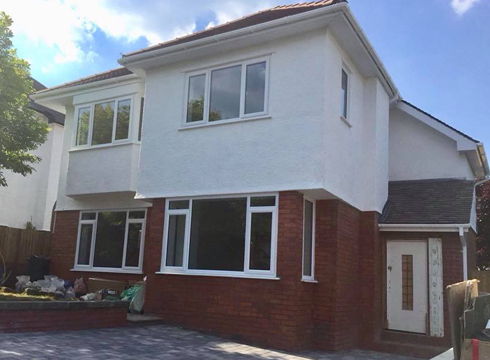 At South Wales Windows & Doors, we provide an extensive selection of speciality doors to help you create a truly unique space! 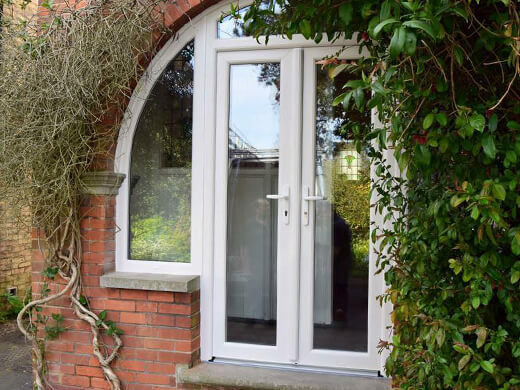 The speciality doors we offer include double doors and archways doors, both of which look beautiful and distinctive without compromising security. Our double doors are perfect for allowing lots of natural light into your home. If you choose double doors that open onto your garden or patio, you can have both doors open in the summer to allow plenty of fresh air into your home. Our archways doors suit modern and period archways around your home. We tailor your archway doors to the exact measurements of your archway so they will fit perfectly and look great! 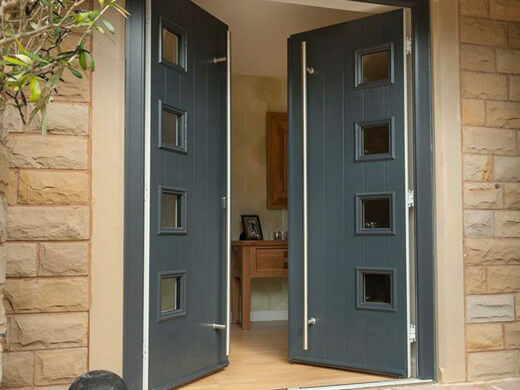 Why Choose Our Speciality Doors? 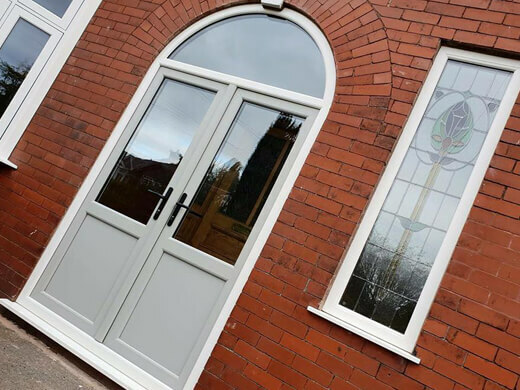 With 32 years of experience in the doors and windows industry, we offer speciality doors that will look fantastic and stand the test of time. We work with you to create bespoke speciality doors that suit your vision and requirements. Our prices are extremely competitive, and we are praised for our excellent customer service! Take a look at some of the beautiful speciality doors we have installed. Our speciality doors always look elegant and let in tonnes of light. Get in touch if you think our speciality doors are the right doors for your home. Your speciality doors will not only look great, they will also improve the security of your home. The Association of Chief Police Officers (ACPO) in conjunction with Government departments endorse our ‘<strong>Secured by Design</strong>’ initiative. This means all of our doors, including our speciality doors, meet the security standards for residential doors. When you choose a speciality door, you can choose for one of our consultants to visit you at home. During your home visit, we can assess the space you want to install your door, discuss your ideas and talk you through all the different speciality doors we have to offer. 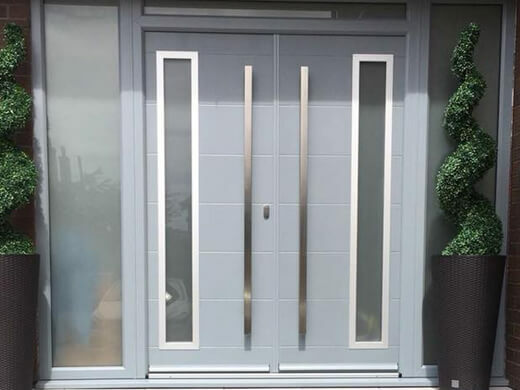 Our speciality doors come in a range of different styles and finishes, they are durable, weather resistant and low-maintenance. Choose whichever door suits your property and we will make your vision a reality. Our highly-trained and professional craftsmen will arrive on a day of your choice at a pre-arranged time. They will install your new double doors or archway doors, making the process as stress-free as possible. If you would like any further information regarding our speciality doors please fill in our online enquiry form or call us on 02920813488.